I was thinking of what my first blog within my food and drink category could be and one thing sprang to mind immediately. It has to be something everyone likes, it has to be something everyone knows and has at least tried once. It’s the BEST meal ever to be invented in my opinion. That meal being . . . Sunday lunch. 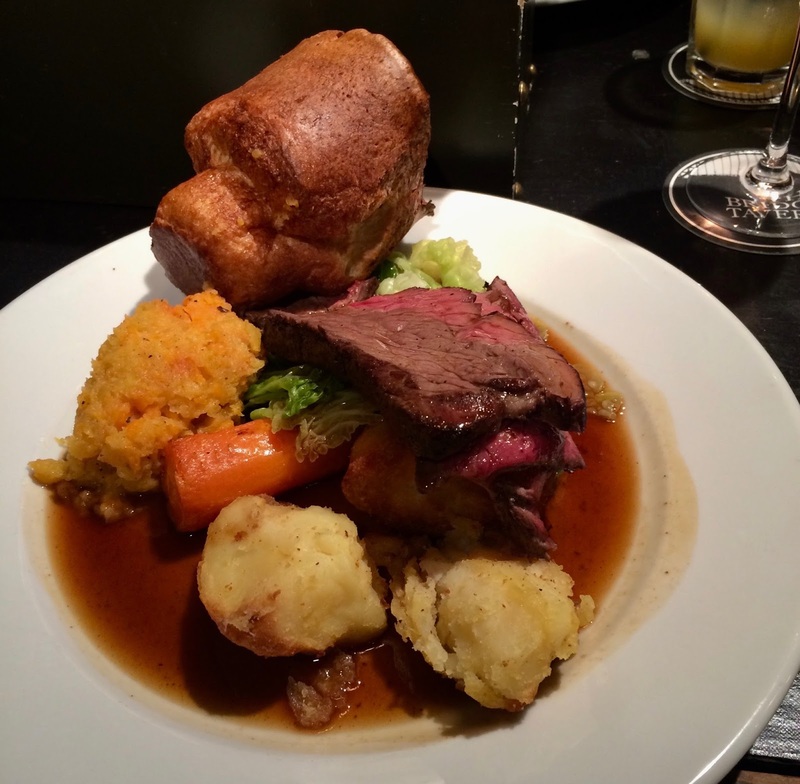 It’s extremely difficult to find that perfect Sunday lunch. Especially in your local area, but when you eventually find it- you’re onto a winner. 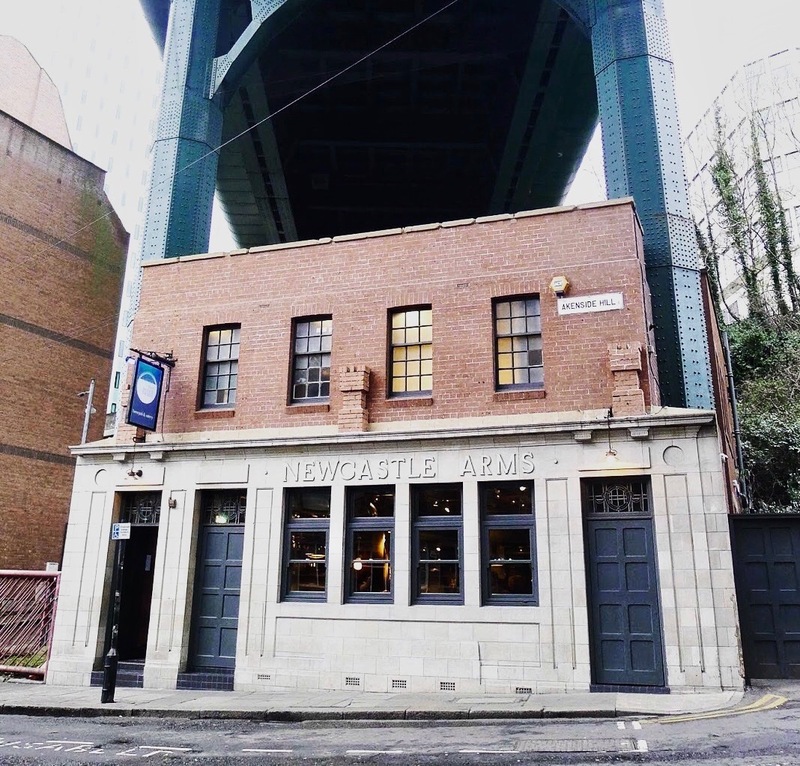 My go-to pub, over the past few years has been The Bridge Tavern in Newcastle. It first opened it’s doors back in 2013, and it’s been a favourite of mine ever since. It’s situated in the most amazing location, sitting right under the famous Newcastle Tyne bridge. It’s most definitely one of my favourite pubs in toon! 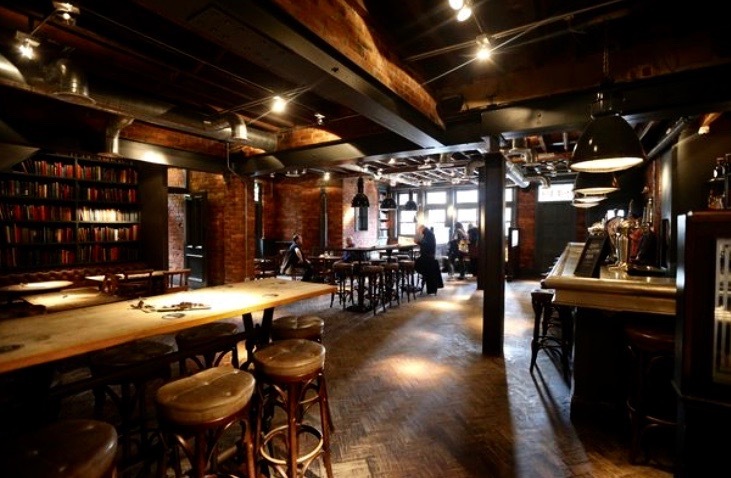 It’s interior is super trendy, with exposed brick work, copper piping, wooden flooring and wing back leather chairs, this is the ideal place to spend a relaxing Sunday afternoon. If you were to imagine the perfect pub, this place will come pretty close. The Bridge Tavern also has it's own on-site micro brewery, brewing beers and ales they pull behind the bar. It’s a super cool touch and makes the pub environment smell even better! If you've not got your nose hooked on the fine aroma of craft beer, your probably smelling some of the mouth watering food coming from the kitchen. With the Bridge Tavern’s modern twist on classic pub grub you can’t go wrong, everything from scotch eggs to the more exotic choice of Lindisfarne oysters are on the menu. If you're more into sharing there's always one of their slider boards, which always has a great selection of delicious pub favourites. Anyway back to their AMAZING Sunday lunch’s, as I mentioned this pub has been my go to for my Sunday lunch fix. You’ve got the normal choice of pork, lamb or beef or a mushroom cheese cobbler for the veggies out there. Here is a picture I took on my last visit, so you can judge for yourself. The Sunday lunch comes with a selection of sessional vegetables, Yorkshire pudding & gravy, where I think the game is won or lost. But I can assure you they have their gravy game down. If you pop along on my recommendation I’d love to know what you guys think, I’d recommend booking as tables are always reserved. See the links below of where you can do this, also get a pint of Tavern ale it’s lush! But wait, I may of found some competition. When I was scrolling yet again through Instagram a few weeks ago, I spotted a rival. The photograph I saw looked like the culmination of everything delicious. 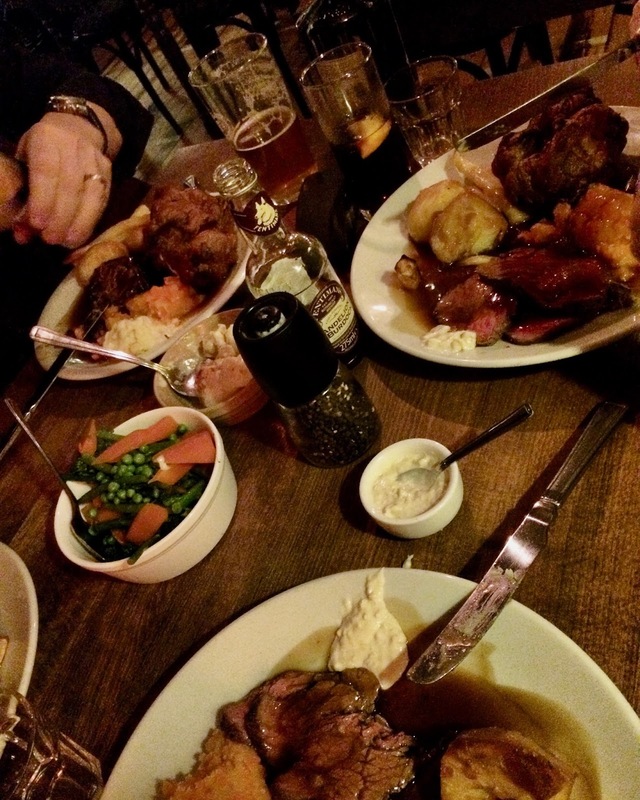 Big fluffy Yorkshire puddings, perfectly crispy roast potatoes, dark slow cooked beef in a rich gravy sauce, with all the trimmings you can think of. I needed to find out more! It looked so good! It was just outside Durham city centre, around a five minute drive from the train station off quite a busy road. The pub in question was called the Garden House Inn. I’d been in York that day and booked a table on the drive back home. 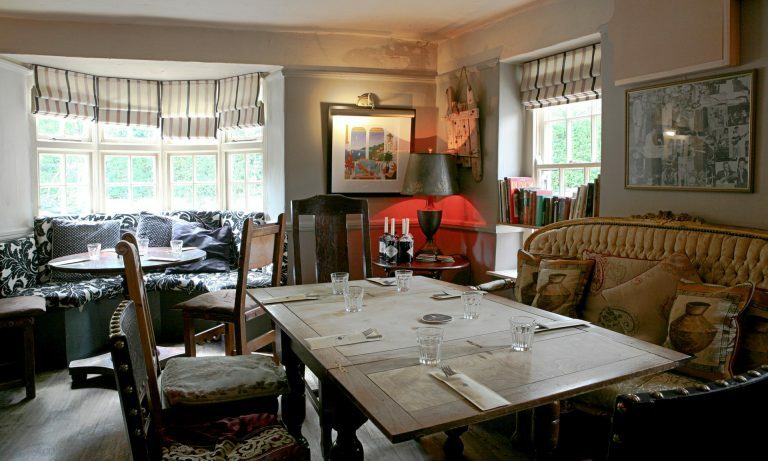 It’s a large pub with a central bar with different rooms feeding off in every direction. It was very busy when we arrived but we still got a nice table in the conservatory at the front of the pub. With its low ceilings and old up cycled gym floor this place mixes old with new. We were handed the menu and this was the the low down, a twelve hour beef featherblade, rare roast beef rump, slow cooked pork belly. While vegetarians have a choice between a mushroom chestnut & spinach pancake or a fish dish. I decided on the beef featherblade, as I’d never heard of that particular cut, I didn't know what to expect, but when it arrived I was more than happy. Here’s the definition for you to get those taste buds tingling! A long cut of meat cooked for several hours in a rich gravy stock, which makes the beef soft and incredibly tender. Now you know what I was dealing with. It was TASTY! Here is the quick photo I snapped as we were tucking in. Everything on the plate was finished perfectly, plus they did an awesome suede, one of my favourite accompaniments to any Sunday lunch, BONUS POINTS! I am still yet to make a decision on which one was the best. It’s tough okay! As they were both as good as each other! Heres the links if you want to give these places a try out, see if you can pick a winner.